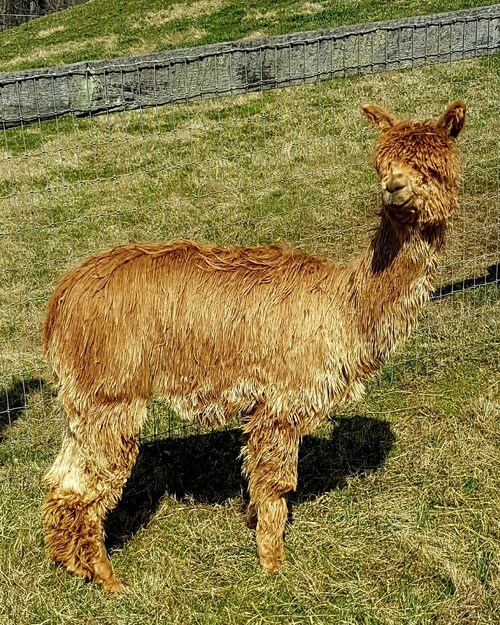 Zeppelin is a full Peruvian, 1/2 Accoyo fawn male with lustrous silky fleece, great conformation, and a beautiful solid color dark fawn fleece. He has a nice personality and is halter broken, ready for the shows. His bloodlines include King Coal (black), Accoyo Maurizio (med fawn), Accoyo Bruxo (white), and Accoyo Jackpot (beige). His fleece exhibits a wonderful fineness with individual locking, laying very flat and close to his body. He just shimmers in the sun! Zeppelin's dam is Accoyo Tabitha, a Jackpot granddaughter and Accoyo Apocalypse daughter. 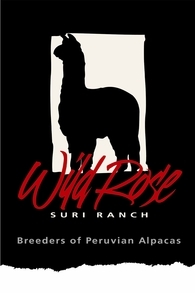 with all the color in her full Accoyo background, we are pleased to see that she can produce color crias when bred with color sires. Tabitha is a large girl, and is a PR favorite. Her gentle and easy-going personality and her fantastic mothering skills make her a top foundation dam. His sire, King Coal, is a well known on the East Coast as a producer of fine, densely fleeced and high luster offspring, many of them black. He was shown when he was younger and was awarded championships and Herdsire of the Year at the MAPACA Jubilee. King Coal has a compact body size with heavy bone and good proportions. He is one of our favorite black suris outside our farm for breeding to our girls. 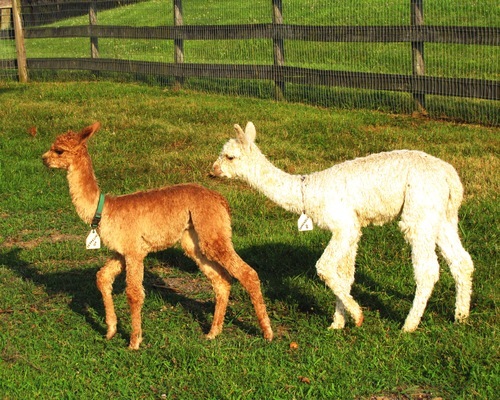 Zeppelin has a beautiful fine fleece and will provide years of usable fleece for spinning. 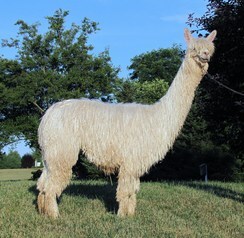 Whether you are looking for a future herd sire or an easy-going fiber male, Zeppelin is your boy. Contact Patti for more information and to schedule a visit at 443-740-4240.